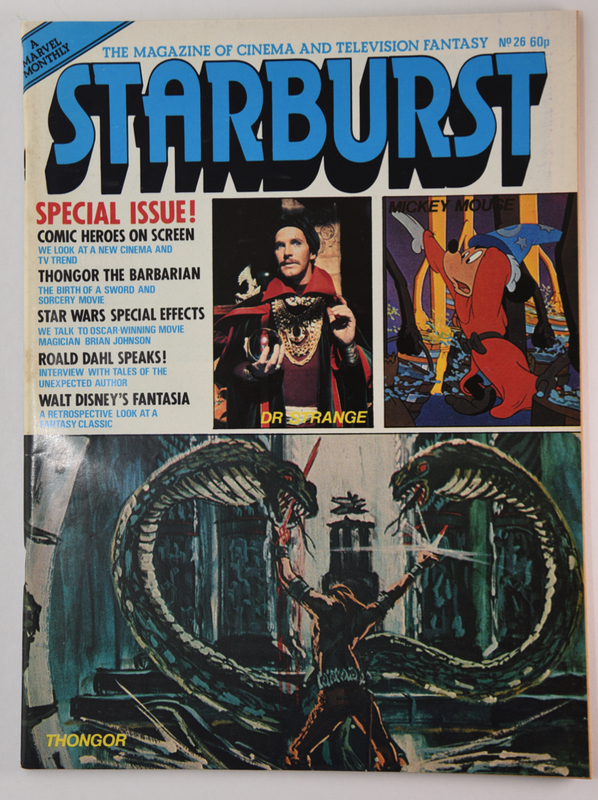 Size: 8" x 10 7/8"
Description: This is a British Sci-Fi magazine that was started back in 1977. 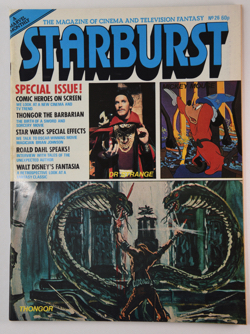 This issue is Volume 3 number 2 and was published by Stan Lee and distributed by Comag. The magazine went away then was resurrected in 2011. This issue features a picture from the Dr. Strange TV pilot on the cover and another picture form the pilot inside in an article about Marvel characters on TV. The cover price is 60p and was published October of 1980.